Mikula Forecasting Company. Hardcover. 0965051862 Very Good++; Hardcover; Covers are still glossy; Unblemished textblock edges; The endpapers and all text pages are clean and unmarked; The binding is excellent with a straight spine; This book will be stored and delivered in a sturdy cardboard box with foam padding; Medium Format (8.5" - 9.75" tall); Red covers with a technical drawing, and title in white lettering; 2003, Mikula Forecasting Company; 204 pages; "Definitive Guide to Forecasting Using W.D. 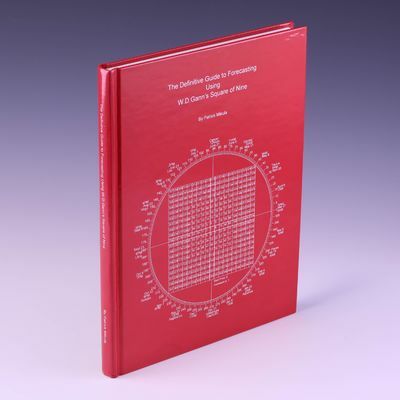 Gann's Square of Nine," by Patrick Mikula & Patrick Mikula. . Very Good.